I'm happy to see that this is starting to gather a bit of steam after a few more YouTubers have picked up on it and people are pushing CEX to come up with answers about their illegal practice of reproducing game covers without permission from copyright or trademark holders. CEX has been reproducing media artwork (DVDs, Games etc.) for at least four years, given what we can find on social media - although the practice has greatly increased over the last few months. They have been using laser or inkjet printers to reprint copyrighted artwork and trademarked logos in order to retain or add value to certain items. This is most prevalent with video games - for which CEX are in possession of games that have damaged cases, damaged artwork, or simply no artwork at all. 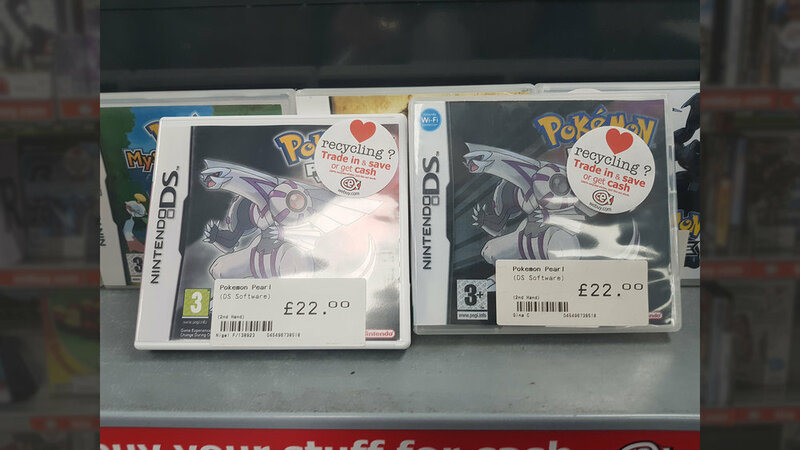 In order to sell these at full price, stores stock their shelves with original cases and ones that CEX has printed itself. There is no indication on the outside of the covers to suggest that these are non-original. CEX does print on the underside of covers to inform customers - but in many circumstances this is not visible until the sleeve is removed from the case itself and does not justify breaking laws. These are not just display cases - they are being sold as part of the product and the customer leaves the store having purchased a (genuine) copy of the game or DVD with an illegally reproduced copy of the case artwork. The practice of printing these inlays to retain and value and sell the game as "boxed" was confirmed by CEX on Twitter. This is particularly of importance when it comes to CEX's pricing of games that come in "DVD cases" and those that come in "cardboard sleeves". Games such as "Wii Sports" are being sold in an original cardboard sleeve for one price (currently £8.00) and a DVD-style case for another (currently £15.00) . Many of these DVD-style cases have been reprinted and are non-original. This effectively allows CEX to charge double the price for an item regardless of whether the case is genuine or not. This was backed up by tweets from a former employee. 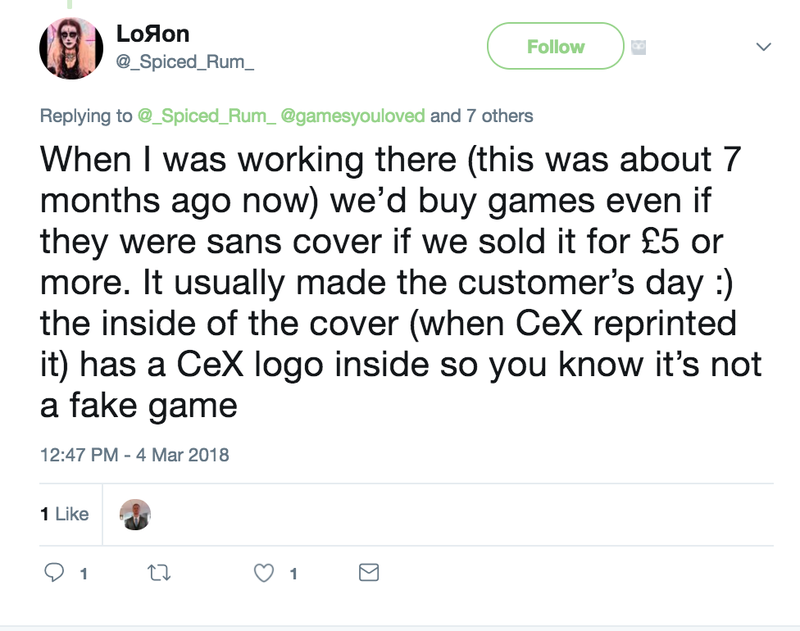 In her attempts to draw attention away from "fakes" she insinuated that CEX were actually willing to accept games without a box at all - provided the value was more than £5. If true, that would mean that stores could accept a loose game, print a case and then charge more for it than ones that came with original cardboard sleeves. At which point, this would be artificial inflation. 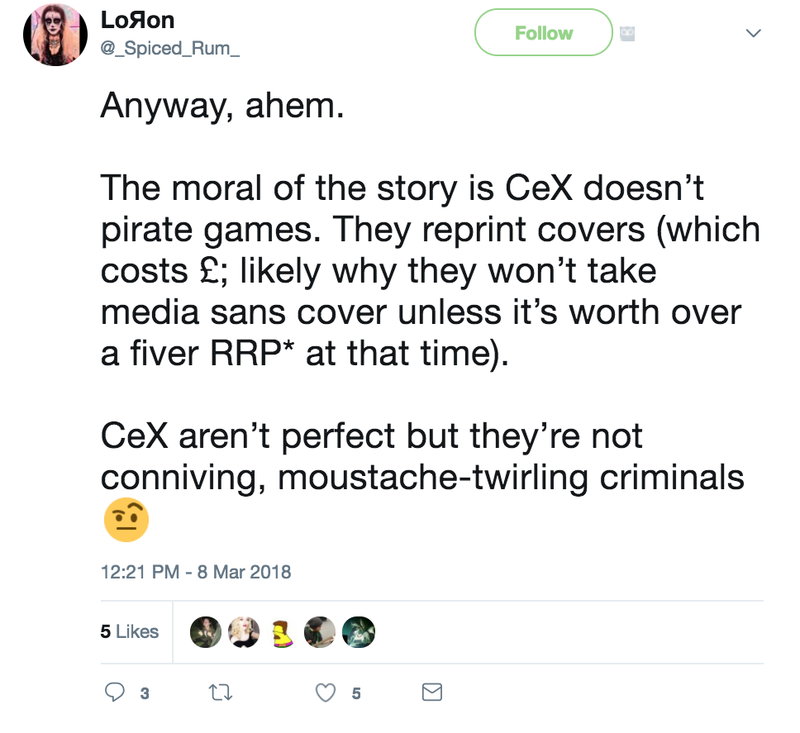 Not only is CEX in breach of these laws, but it is also giving itself licence to print money - by printing fake game cases to justify charging full price, when it would otherwise charge much less. I contacted CEX via Twitter. Initially they responded. However upon delivering my findings regarding legal statements from copyright owners and providing information regarding current legal precedent regarding this matter (see Nintendo vs Blockbuster Video) the company has no further comment at this time. This response is inadequate given the legal implications of this matter and I believe the company has not been honest or accurate in its previous dealings with Trading Standards. Upon delivery of information regarding current legal precedent, legal statements in printed materials that is blatantly ignoring, and evidence of artificial price inflation - the company is sporadically communication with me. The issue has now been forwarded to Trading Standards. I have asked CEX for comment, however at the time of writing this article, I have yet to receive a response. A copy of the message sent can be read below. I would like a comment from CEX regarding the illegal reproduction of game cases in CEX stores. This however is untrue. CEX does not own the artwork that it is reproducing and therefore does not have the right to reproduce it. The artwork is subject to copyright law and the logos subject to trademark law. It is for this reason that CEX is currently under investigation for breach of the Consumer Protection from Unfair Trading Standards - based on a report gathered earlier this year. There is no indication on the outside of the covers to suggest that these are non-original. CEX does print on the underside of covers to inform customers - but in many circumstances this is not visible until the sleeve is removed from the case itself and does not justify breaking laws. These are not just display cases - they are being sold as part of the product and the customer leaves the store having purchased a (genuine) copy of the game or DVD with an illegally reproduced copy of the case artwork. This action is particularly of importance when it comes to CEX’s pricing of games that come in “DVD cases” and those that come in “cardboard sleeves”. Games such as “Wii Sports” are being sold in an original cardboard sleeve for one price (currently £8) and a DVD-style case for another (currently £15). Many of these DVD-style cases have been reprinted and are non-original. This effectively allows CEX to charge double the price for an item regardless of whether the case is genuine or not. This is also ignoring the current legal precedent of “Nintendo vs Blockbuster Video”. Having continued my investigation, it appears that CEX has also been photoshopping covers using assets to which they do not own the rights - doctoring artwork to fit different sized cases and adding game ratings where there was none. This is mentioned in the below video and in more detail further down this article. There is a follow up video with updates below. This is all especially concerning as CEX are also in breach of PEGI's trademark as they are not only reproducing artwork but doctoring it to have incorrect game ratings. The scale of this is unclear at this point but examples are shown in the video above and in the images below. Copy of Super Smash Bros Melee - as found in store with reprinted American artwork and a doctored PEGI 12 rating. This game was not rated PEGI 12 - as shown below. Super Smash Bros Melee - as originally released on the left, with an 11+ rating from the ELSPA - and the Player's Choice release with a PEGI 3 rating. 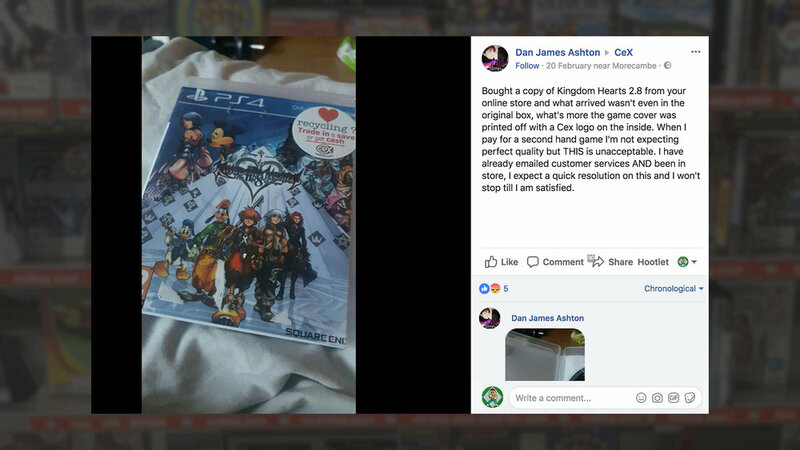 CEX has given further comment claiming that reprinted cases are kept for sale only in store so that customers can see them before purchasing and ask for alternatives. Ignoring the fact that this is completely irrelevant to the case at hand - it's also untrue, as verified by multiple frustrated customers. (Click on thumbnails for larger images). While employees have stated that one criteria for games to be posted out is that it is in good physical shape and does not have a reprinted cover - the practice of reprinting is still clearly having an adverse effect on online orders. I have since reached out to multiple IP holders for comment. 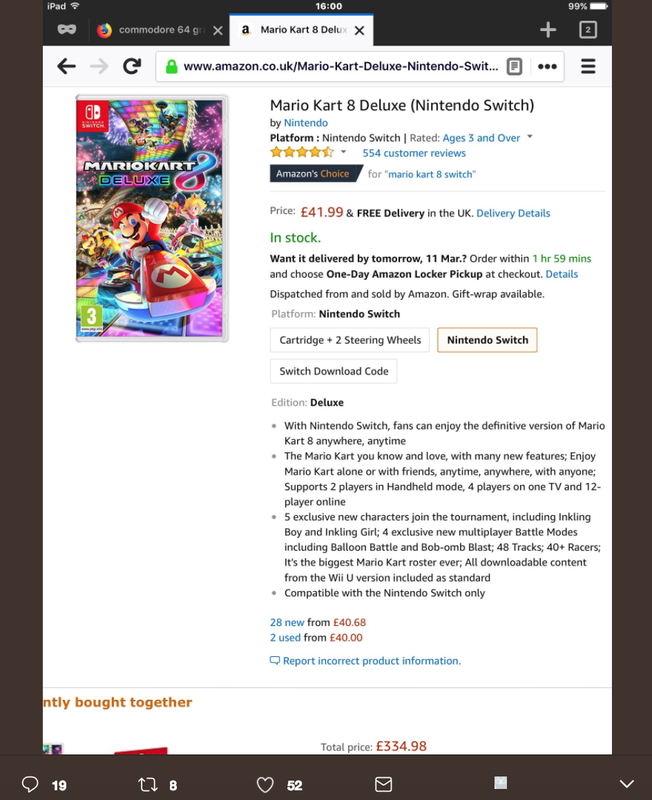 According to Nintendo's website, they are very clear that they have the sole right to reproduce and distribute all works they hold copyrights for - including artwork and product packaging. 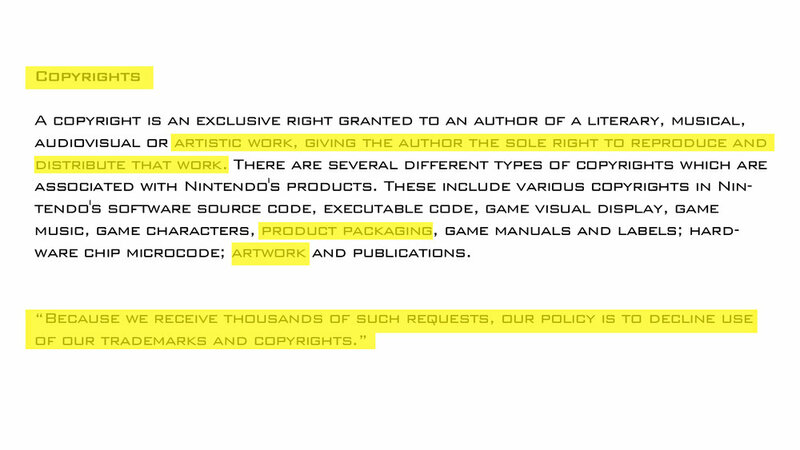 This policy can be seen on Nintendo's website here. This becomes even more important given that acts are in place in UK law to protect both customers and also businesses to prevent losses throughout unfair trading practices. Given that CEX is also selling new games with reprinted covers and also charging more than their competitors, this practice is potentially at the detriment of other businesses (see below). Particularly (as above) Nintendo retains the rights to reproduce and distribute their copyright. I have reached out to CEX for comment on multiple occasions but have so far been ignored - at least by the corporate side of the business. Plenty of staff and ex-staff have been more than happy to talk to me about this. 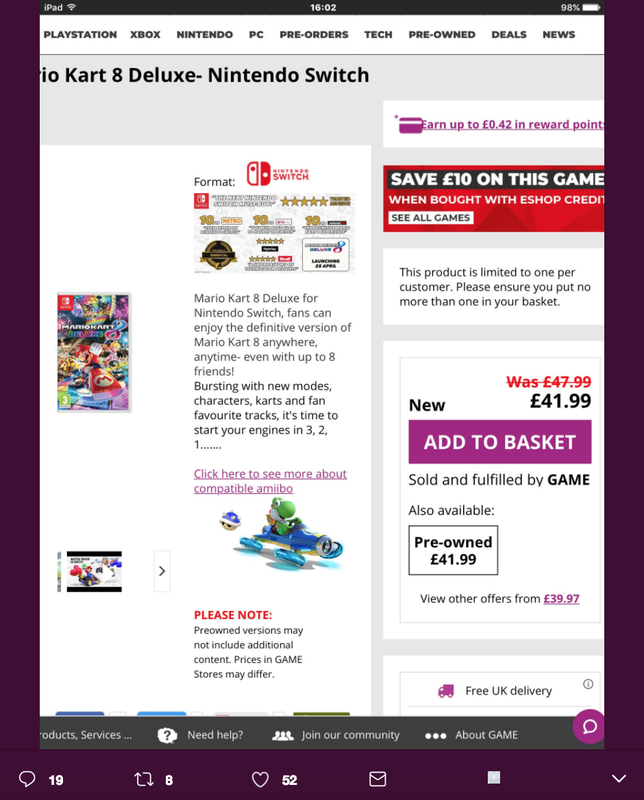 I have also seen a new issue arising - and that is customers not realising that what they have bought is not actually considered a "boxed" game by anyone other than CEX. Therefore when it comes to attempting to sell the game on to someone else - it is only worth the same price as a "loose, disc-only" game. Once a game with a reprinted cover is bought from CEX, one can’t take that to another store and expect to get full trade-in credit. This has been confirmed with stores such as GAME and BASEO. 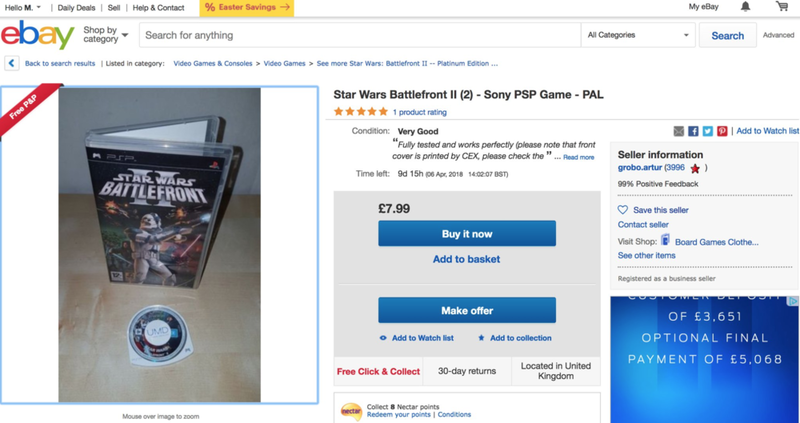 Above is a copy of a PS4 game brought into a BASEO store and it was rejected because it didn’t have the original box. This was in fact brought into BASEO as CEX had already refused to take it. CEX has claimed it will take back reprinted artwork - so long as it has been reprinted by themselves. Despite CEX’s claims - many stores won’t accept their own stock back as trade-in. But even if they do - see above - that can bring big problems for you the customer. CEX stating that they will take in printed covers is encouraging people to knowingly sell/distribute copyright & trademark infringing products - and that can potentially bring criminal charges... for the customer. This is not only an issue with these game cases finding their way back into CEX stores, but they are also being sold elsewhere such as on eBay. (See below - click on images to enlarge).